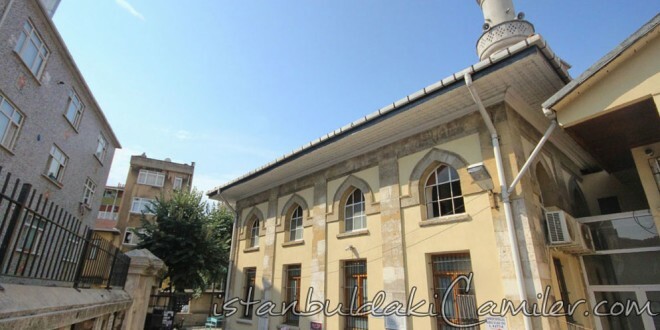 Muhiddin Hamami is the benefactor of the mosque that is located where the Draman overlooks the Halic. Hamami is entombed in front of the mihrab. The construction date of the mosque is unclear but it is understood that it had been constructed before 1501 AD, which is the foundation date. Muhiddin Hamami had a khan in the Yavasca Sahin District, the annual revenue of which was 5584 mites, but we cannot see any trace from this inn today. The walls of the flat wooden roofed mosque are made of stone and brick. Melek Mehmet Agha had it rebuilt after the mosque had been damaged in the massive Balat fire in 1729.